The Art and Science of Computers and Technology. 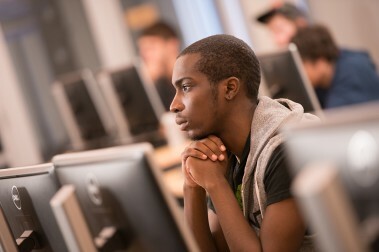 The Computers and Technology program at Thomas College prepares you today for the work you’ll do tomorrow—and far into the future. You’ll learn about the complex communication that takes place between people and machines, and how to apply principles from computer science, business administration and management, and communications theory to this dynamic world of work.